When Hurricane Matthew hit Haiti a month ago, it didn’t discriminate – destroying everything in its path. Now, amid growing anger over help for victims, the country’s interim president has announced an aid programme, to try and see off a threat of famine. Jocelerme Privert said that the winter campaign must begin this month and that almost 27 million euros will be allocated. This, he added, was to avoid a nationwide famine, after humanitarian assistance. Anger over aid distribution has brought protesters out onto the streets. A teenage boy was recently killed during clashes. While UN officials and charity leaders publicly praise the government for leading the response to the disaster, critics and some victims say aid has been politicised, with disproportionate supplies given to people close to political leaders. The category-4 hurricane killed as many as one-thousand people, estimates suggest. It wiped out crops, led to a spike in cholera cases and left tens of thousands homeless in what was already a fragile country. 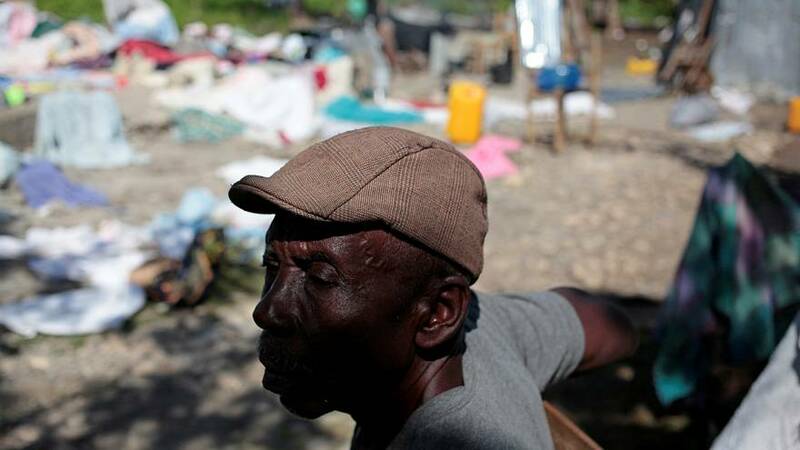 So much agricultural damage was caused that UN officials quickly warned that Haiti could face a famine within six months.